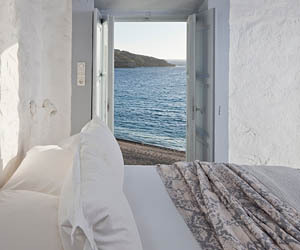 Jacoline’s guide to Serifos, her favourite island in Greece! Most people who spend their holidays on the Greek islands end up having one favourite, to which they return year after year. It took me about ten years, and trips to almost 30 different islands, to find mine. Serifos it is. Beautiful beaches, wild landscape, one of the prettiest horas of the Cyclades and a pleasantly laid-back atmosphere. Too raw and forbidding for some, not enough nightlife or fancy restaurants for others, just perfect for me. As ferry routes do not connect Serifos to the more popular islands, it has stayed blissfully off the beaten tourist track, though of course, in August it gets busy. Most activity is in the main bay, Livadi where you will find several restaurants, a few nice café’s and bars, a handful of mini-markets and some small boutiques. There are beaches all around the island and most can be reached on foot or by bus, so renting a car is not even absolutely necessary. Psili Ammos is the most famous beach on Serifos and with fine sand, natural shade, shallow waters and two tavernas, it’s great to spend the day with children. The downside is that it gets crowded during the summer months. There are plenty of excellent alternatives, some with coarse sand (Agios Sostis, Vagia and Kalo Ambeli are among my favourites) and others with pebbles or a combination of sand and stones (Agios Yannis, Ganema, Sikamia, Lia). 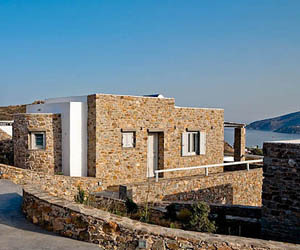 And of course you shouldn’t miss the Chora of Serifos, it’s whitewashed hill-top village. It is a magical place. Stroll through the allies just before the sun goes down, have a drink with some mezedes at Stratos’ little bar at the upper platia. It’s perfect.